Over 60 people braved the colder weather at the weekend to come on the Mammoths and Molluscs guided walk on the Undercliff path. Dr Matt Pope (from University College London) brought to life the lost world of Brighton's Ice Age past, aided by exhibits from the Booth Museum, including woolly mammoth and woolly rhino teeth. These now extinct creatures used to live in this area as evidenced by their remains which can be found in the raised beach at Black Rock. All part of Brighton's fascinating natural history. After the talk, Sea Life Brighton led a sea-shore safari on the rockpools adjacent to Black Rock to look at the creatures of the present. The finds came thick and fast, including a rare Scorpion fish and many different types of crabs including the velvet swimming crab. Many children who had never been rock pooling before, found it was a really magical experience. 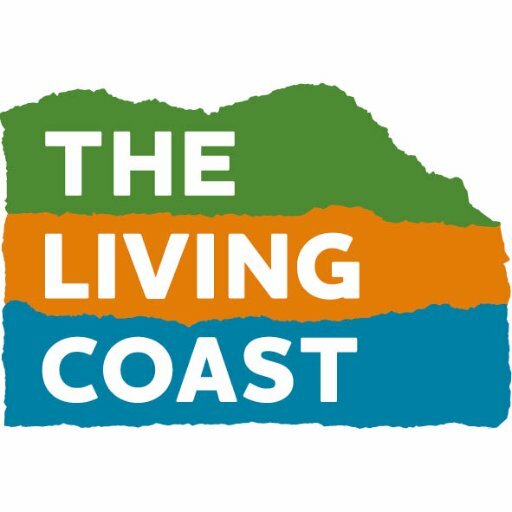 The event served to show people how important and special our coastal environment is and why it is included in the area we are seeking to become a Biosphere Reserve. There was much support for the Biosphere project and people were urged to respond to the consultation ending on 22 April 2013.